Most visitors to Brisbane are impressed by the unique traffic signal boxes (TSBs) painted with bright artwork. 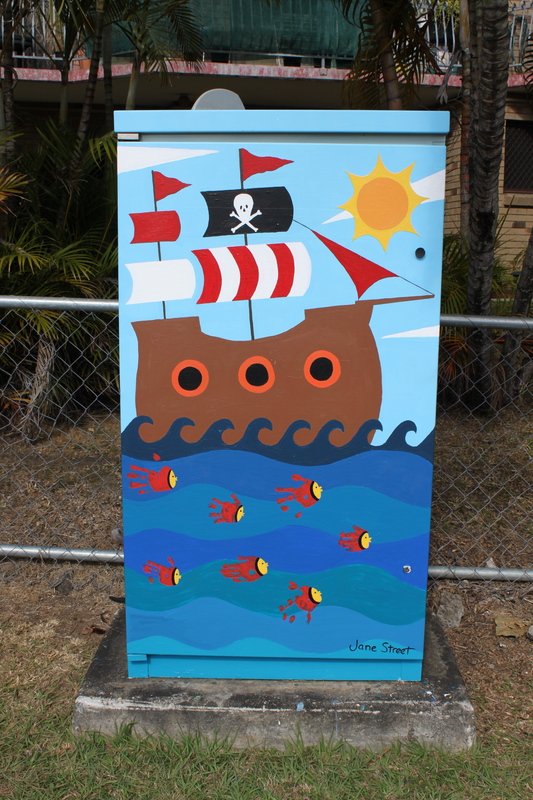 Each one is hand-painted by a Brisbane resident and reflects the community and environment in which it is located. 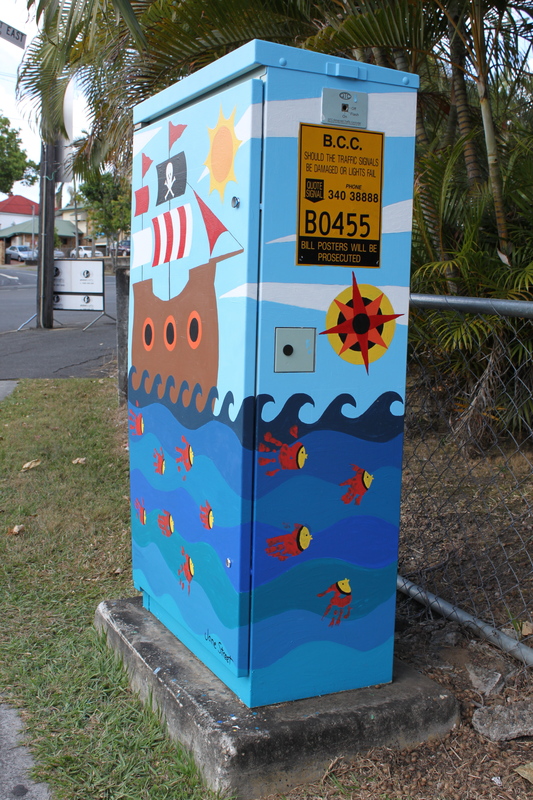 The initiative is a fantastic anti-graffiti project funded by Brisbane City Council and managed by Urban Smart Projects. 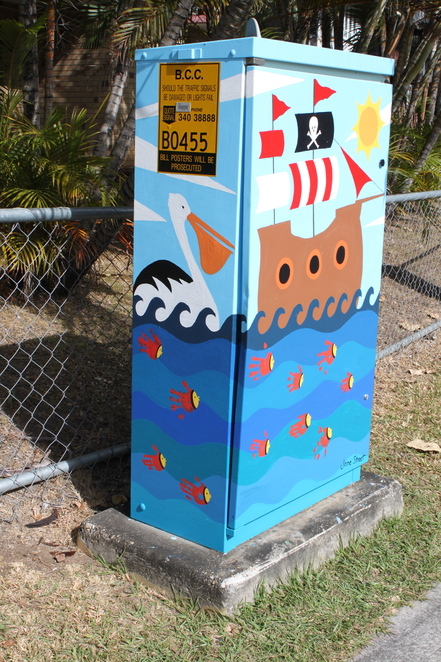 The idea is that boxes painted with real artwork are less likely to be tagged. My husband made me a a photo collage picture of various boxes in our neighbourhood one Christmas . With the picture was an envelope with instructions on how to apply to paint a box. I never thought I would actually really do it. But, three years on I have finally painted my own. Step 1: Register your interest with Urban Smart Projects. I originally signed up in April but the box quota for the funding year was already full. However I was then on the mailing list to be notified as soon as the new allocation became available in July. Step 2: Reserve your box. As soon as you get the notification of new boxes being released, jump on your computer and reserve a box. There is a map showing all of the boxes available so you just need to pick one in an area that appeals to you. This year, all 68 boxes were snapped up in less than two days, so you have to reserve one quickly. Once you have reserved you box, you have one month to submit your design for approval. You need to visit your box to check if it's a low box or has an extra top section. You need to get a feel of the area and think about creating a design that will be relevant. My box was on the junction of Woolloongabba and Mowbray Park, where my kids often play in the excellent pirate ship playground. I learned that one meaning of Woolloongabba is "whirling waters". 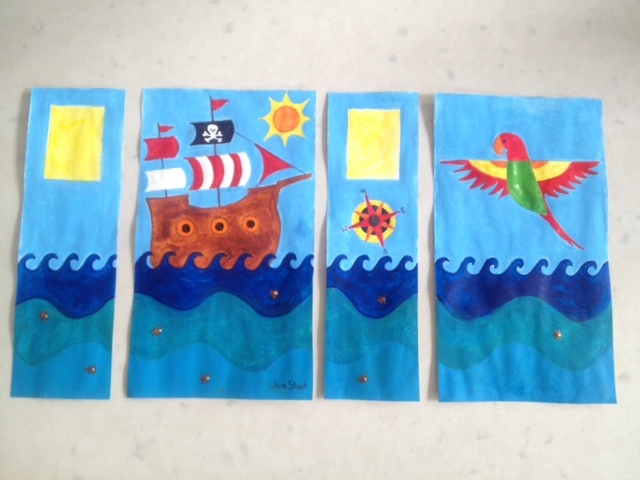 I decided to do a pirate ship design on a whirling sea, with handprint fish by my kids and their group of friends from different parts of the city who regularly meet in the nearby playground. Once you have your idea, you need to draw a full colour design for each side of the box and submit online. You may need to make design modifications. My initial submission had too many blocks of open colour which would be more likely to be graffitied so I needed to go back to add some extra pattern elements to ensure there were fewer 'tagable' areas. 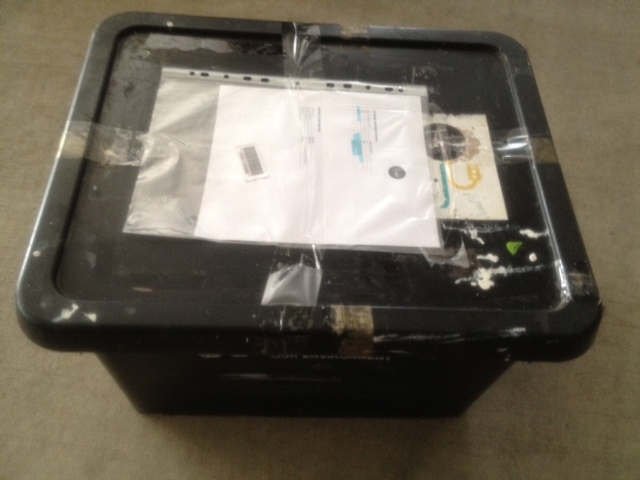 Urban Smart Projects provides a crate of supplies, including traffic cones, high viz vests, paint, colour mixing chart and protective covers for the box identification plates and key holes. Artists just need to provide their own brushes. 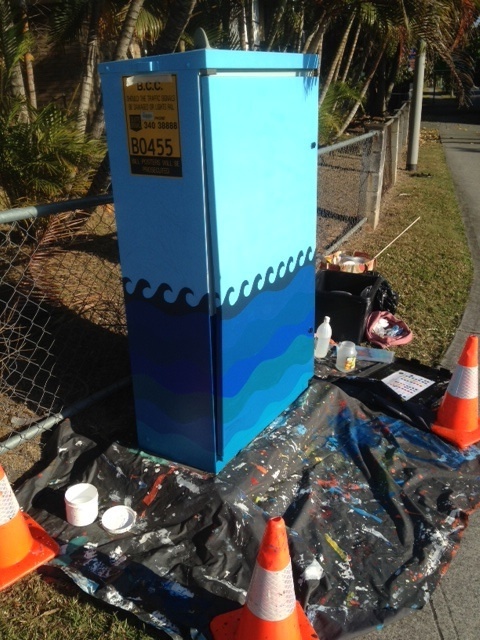 Now you get to do the fun (but daunting) part - painting the box! I am not an artist so I was very slow and had to learn a lot as I went along. It took me a full two days to paint, from first thing in the morning until dusk. Lots of passers-by stopped to talk along the way and offer very welcome encouragement. 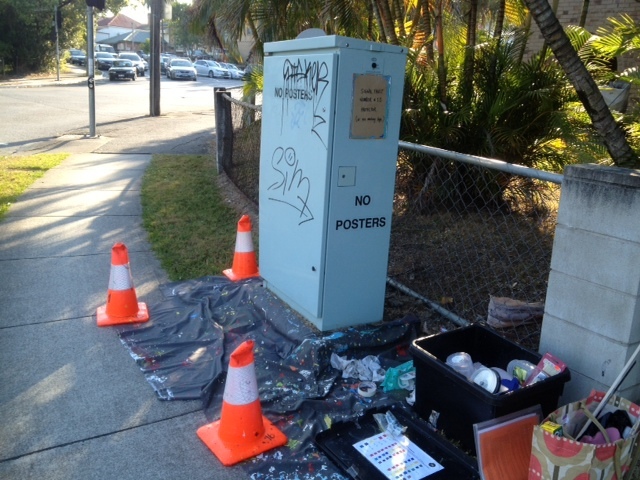 One guy was keen to know if I was a "guerilla artist" painting with cones and high viz vest to appear official. He was very disappointed to learn that I was doing an authorised project! Overall it's a fantastic, well run initiative which I feel really proud to be part of. My kids enjoy waving to their fish as we drive by. Check out the Urban Smart Projects website or Facebook page for more information and gallery of boxes. This is simply brilliant: a great program and a fantastic finished artwork. Well done! 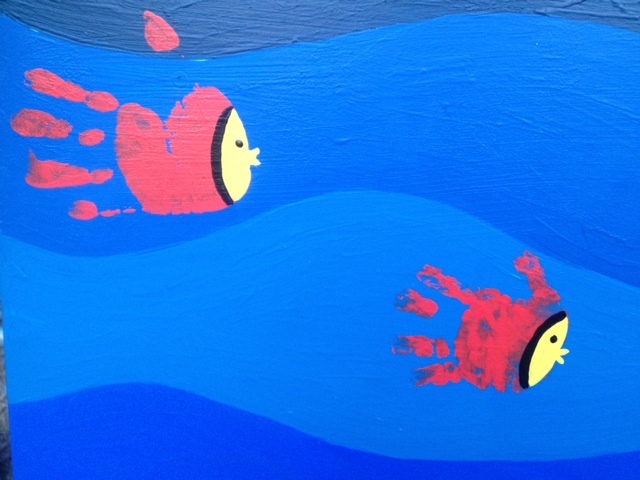 Your kids must be thrilled to be immortalised in art. For someone who is not an artist, I think you did a brilliant job. This sounds like n excellent scheme, and I love that anyone can apply. What a thoughtful husband... that's a great gift. And the end result is great too! 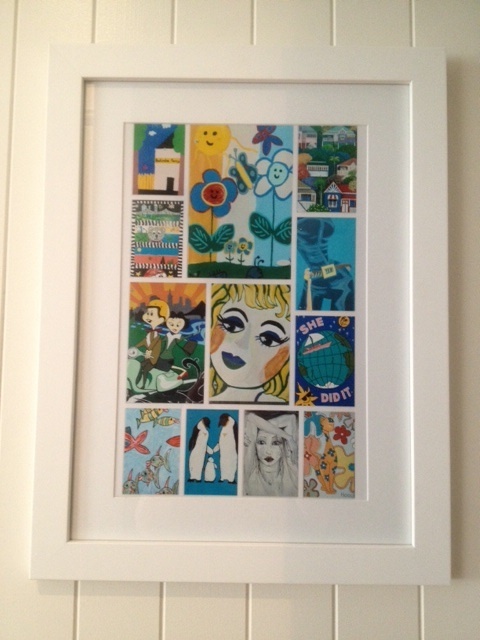 Very nice work, Jane :) Love it! We moved here 2 years ago, I've been wondering how all this happened! Thanks for solving that mystery! I love your design, especially with the idea of including the children! 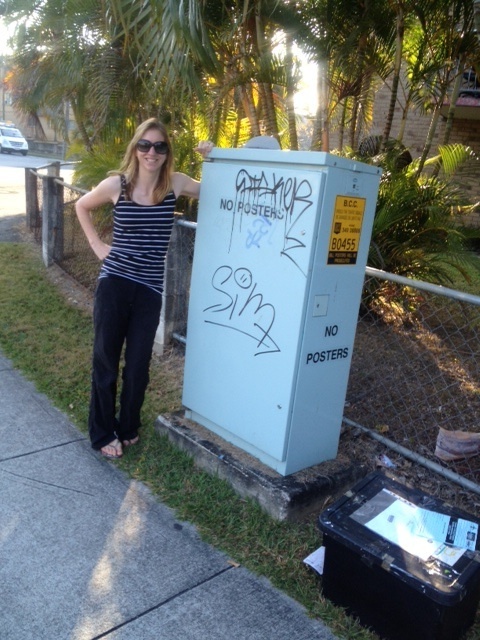 excellent idea Jane...ditto wish we had it here in Sydney! That is so fantastic. You did a great job. Thanks for giving all the info on how to do it. You've got me to sign up too now. Wow - awesome idea - I wish we had that in Sydney! Thank you for this Jane. I've been taking my own photos of these boxes for a while now when I see something unique. I love them. Good to know how to do it and can tell others now.